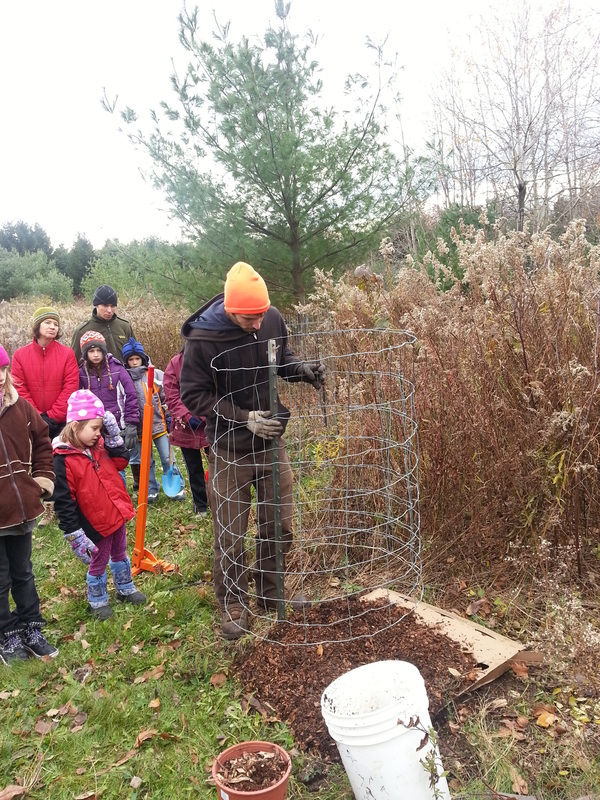 Reforesting on our land continues with a very successful community tree planting day on Nov. 9. 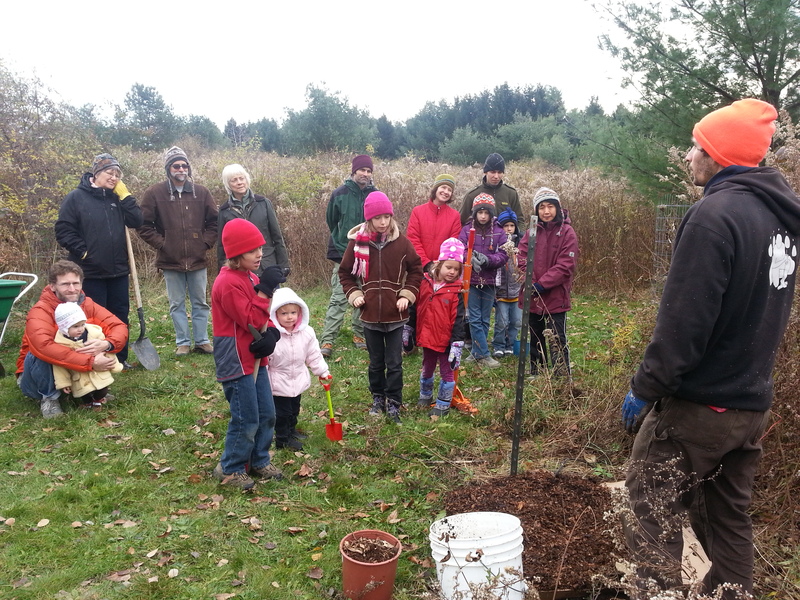 Led by arborist Akiva Silver, 22 villagers of all ages spent the morning putting young trees in the ground. 16 new trees today bring the total planted to just over 100 during the last two years. The species and quantity we planted are Black Walnuts (5), American Elms (5), White Oaks, (2), Burr Oaks (3), and American chestnut (1). Thanks to our Land Partnership Team, and to all residents of EcoVillage Ithaca for making these community tree plantings possible!